There are times when living in Los Angeles seems like an alternate universe from the rest of the country. 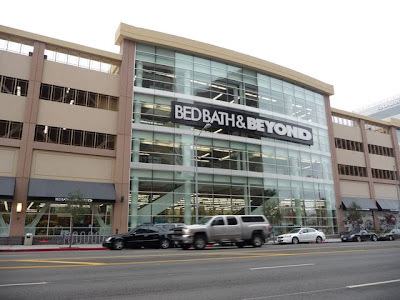 Take, for example, Bed Bath and Beyond on Olympic Blvd in West L.A.
Olympic Blvd changed their zoning about 25 years ago - allowing for mid-rise commercial and office buildings. It's definitely changed the nature and feel of this part of the westside. OK, I've never seen a multi-story Bed Bath and Beyond. 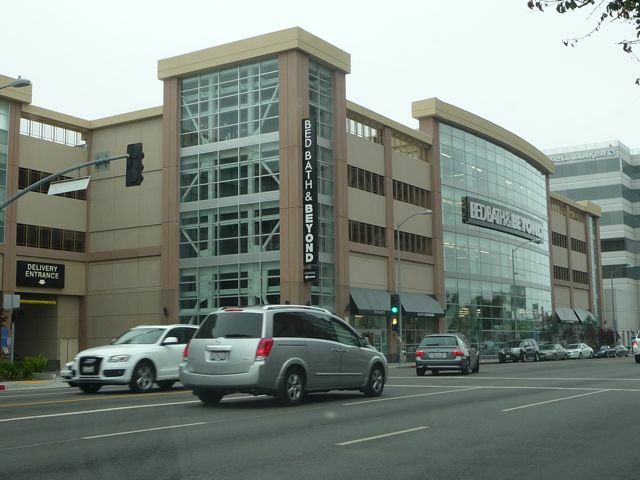 No parking lot here: there's a multi-story garage. 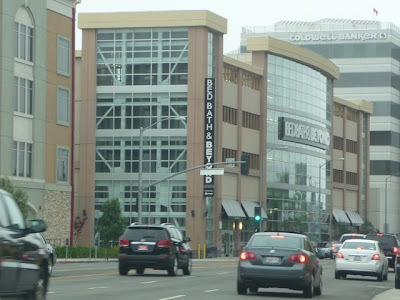 Of course, much of Los Angeles still has a very suburban, or low density urban, feel, especially in comparison to cities like New York, Chicago or San Francisco. 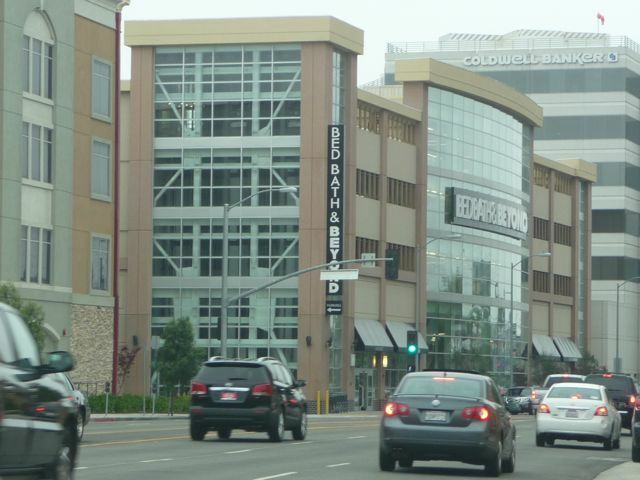 There are open parking lots everywhere - even downtown. But living here, I never expect "free parking" - I always expect to pay. Free parking is a bonus. And that, especially compared to the rest of the country, seems like an alternate universe. 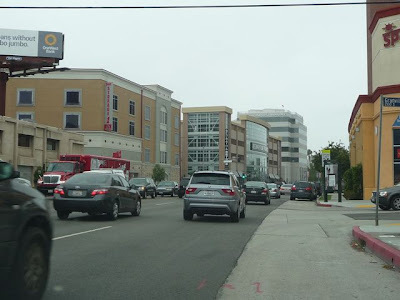 The city of Los Angeles changed the zoning 30 years ago, but did little to nothing in terms the resulting increased traffic. The light rail coming in from Culver City is still years away. Result: total gridlock during morning/evening commutes.